We ordered these for our facility last year and they are still in use up to now. These lanyards are way cheaper than buying regular lanyards and having them printed with "VISITOR"
Since these are pre-printed, there's no way to pick a color for the lanyard. 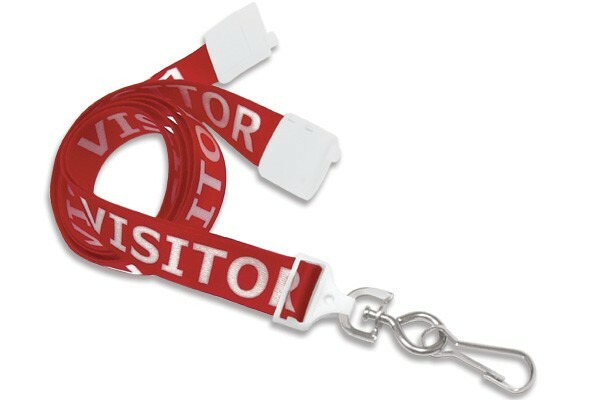 We placed an order for custom-printed lanyards but Melissa from customer service informed us that we could save more money by ordering these pre-printed ones instead. Now that's great service! The red color is a nice touch. Makes it easy to spot visitors even from a distance.